We’re extremely excited to announce that we’re the Winner of the Best Leadership Participation of the Year – Enterprise category of Jostle Awards 2016. Congratulations everyone! Jostle is a cloud-based intranet platform that connects employees inside of organizations and improves employee engagement and internal communications. Jostle connects staff teams and supports our collaborative workplace culture with chat, news, resource libraries and a prolific activity stream. The award recognizes the collective effort of everyone in our organization. We’re proud of this achievement and look forward to celebrating as a team! To celebrate this occasion, our leadership team (Sean Hodgins, Tina Thygesen, Barbara Hughes, David Laulainen, Bob Ransford and Jeremy Gruman) put together a spoof as our online acceptance speech. In 2014, after recognizing the need for better internal communications, Century Group implemented the Jostle intranet. The platform successfully connected our dispersed and diverse workforce, helping overcome some big communication challenges. Now, three years later, we are on the second stage of our intranet journey. The leadership team is working to further the success of company-wide communication and piloted an innovative six month training course for their staff, which lays more groundwork for a deeper communication network. Our hard work came to fruition after working with Jostle closely in the development of a training workshop that kicked off the pilot program. We were nominated for one of the awards in the following year. This year’s Jostle Awards were extremely competitive. 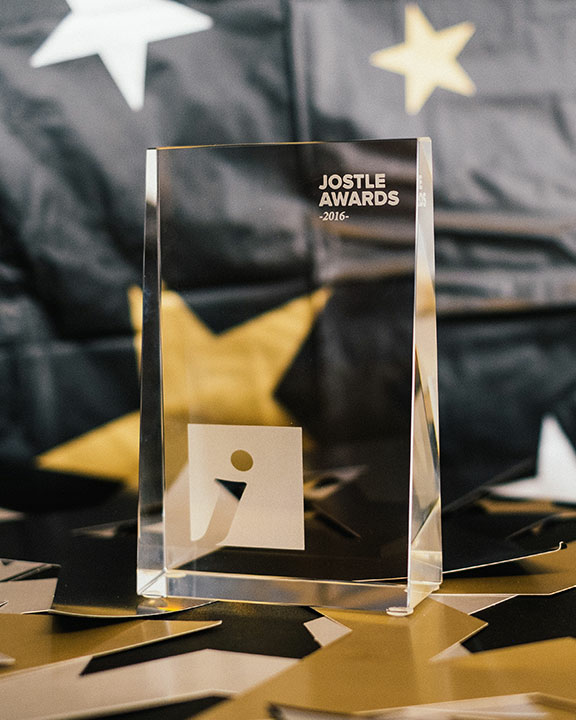 There were over 70 nominations from 38 organizations, all of whom are using the Jostle® intranet to improve employee engagement, workplace culture, and communication. We’re excited to be part of such an inspiring group of companies who strive to build extraordinary workplaces – and even more excited that we’ve won! Thank you for your contribution to our success!